Studying creatures that live far beneath the ocean’s surface can be challenging, to say the least. These animals are often very elusive, and hard to track for the purpose of research. When researchers do manage to catch them, these marine organisms could be hurt, sometimes fatally, in the process. This is not good news especially for scientists who want to learn more about deep-sea life. Some of these sea animals are thought to be the first forms of life on Earth. Therefore, more in-depth oceanography is important to biology, in general. Studying life underwater cannot be achieved if these creatures cannot be examined without risks of injury or danger. Many scientists in this field have found existing methods of specimen-capturing, unsatisfactory. In fact, Andy Juhl of the Lamont-Doherty Earth Observatory at Columbia University has referred to some samples taken as a result of these processes as "mangled." The methods have included nets, submarines, robotic vehicles and jars operated manually for capturing the animals, which could pose threats to their survival. Researchers, such as Juhl and Brennan Phillips, an assistant professor at the University of Rhode Island’s Department of Ocean Engineering, would prefer if the organisms in question could be entrapped whole and undamaged. This allows for their subsequent safe release after genetic and tissue samples have been taken. More importantly, however, it allows for a full assessment of these creatures' characteristics as living specimens, including how they move and, ideally, how they behave in their natural environment. This method also involves suspending the creatures within the ocean water to enhance their welfare in the course of the assessment, and to eliminate the effects of captivity from any data collected. This technique is achievable with a rigid enclosure, which could be operated using rotors or actuators. However, the device may be difficult to operate, and may not allow the operator to respond quickly enough if the animals make a sudden dash for freedom. On the other hand, a device that could create such an open field in the subject’s own water column would also need to be robust enough to contain a specimen, when closed, and be resistant to breakouts. Much of the marine life, to be studied, using such equipment, can be delicate and fragile. 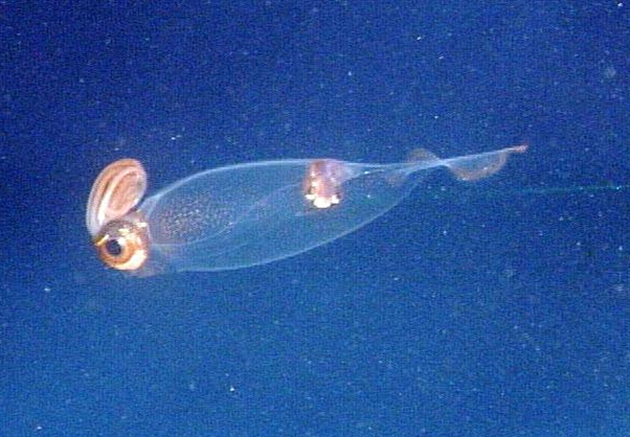 However, some of them, like certain species of squids, may have the ability to destroy, or at least damage, manmade live-capture paraphernalia. Additionally, in the case of cephalopods, this device will need to be sophisticated enough to prevent tentacle damage in the event of capture. Dr. Zhi Ern Teoh, an engineer trained at the Wyss Institute for Biologically Inspired Engineering at Harvard, took an interest in designing such a device. Dr. Teoh had previously gathered expertise with robotic and mechanical devices that could fold outwards to occupy or surround a space in a manner powered by minimal numbers of actuators. This form of mechanical engineering, also known as origami-inspired mechanical design, allowed Teoh to create flying microbots that also had these kinds of folds. The engineer collaborated with a team of other engineers and researchers (which also included Professor Phillips from Rhode Island) to develop an origami design-based enclosure for marine animals in the wild. The result of this project was a polyhedral cage. In other words, it was made of regularly-sized flat modules, covered in a neutral plastic coating. These modules formed a hollow dodecahedron but could also fold along some of its edges, when not in use. The 'faces' of this shape were also creatively connected to a single actuator. This actuator allowed the faces to unfold and expand into the polyhedral state when it rotated one way, and for the same faces to fold back toward it when spun in the opposite direction. Therefore, an operator may be more likely to capture a small, fragile creature along with an appreciable volume of its own water column. Conversely, the device may also be responsive enough to let a creature, such as a squid, go, if it threatens to become entangled with the faces. The design and development of this origami oceanic cage was documented in an article published in a July 2018 issue of the journal, Science Robotics. The study also claims that the cage had been tested at a depth of 700 meters below the surface of a body of water. 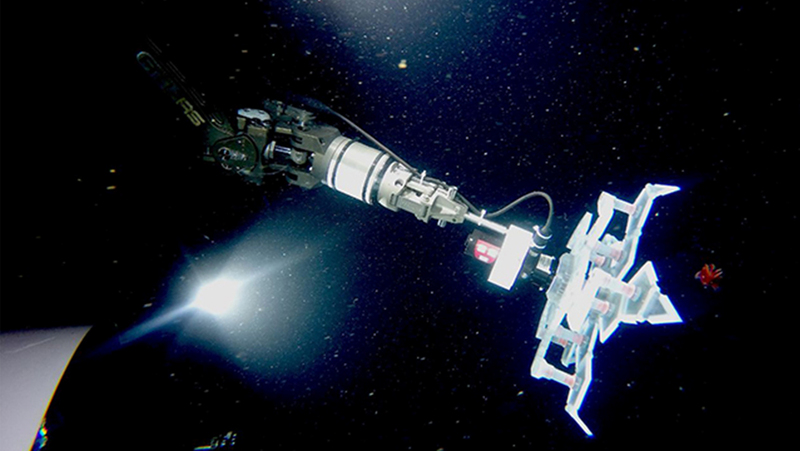 However, the authors assert that this device is designed to withstand more real-life ocean depths (i.e., about 11 kilometers below sea level) and the physical constraints, such as increased pressure, involved in such an environment. The new polyhedral device is yet to be included in such an expedition. However, it would be interesting to know how it performs if it does so. E. Branscomb, et al. (2018) Frankenstein or a Submarine Alkaline Vent: Who is Responsible for Abiogenesis? : Part 2: As life is now, so it must have been in the beginning. Bioessays. pp.e1700182. Z. E. Teoh, et al. (2018) Rotary-actuated folding polyhedrons for midwater investigation of delicate marine organisms. Science Robotics. 3:(20).